An argument can be made that Ralph Lauren is the most successful and influential designer of his time, though he is known less for the creativity of his designs than for being an astute marketer and image maker. His fascination with style began in early childhood. He was born Ralph Lifshitz in the Bronx, New York, in 1939, the fourth and last child of Frank and Frieda Lifshitz, both Jewish refugees from Eastern Europe. He was educated in both public schools and strict yeshivas and raised with high expectations. Even as a boy Lauren loved to dress well and was always a sartorial step ahead of his peers. He liked to try on his dapper father's jaunty hats, and he wore his older brothers' hand-me-downs with a notable sense of style. Even if his clothes were not expensive, he distinguished them with an unusual drape or combination. He knew how to tie a Shetland sweater around his shoulders just so and rolled the cuffs of his jeans in a particular and unique way. When he fantasized about being a teacher, he imagined himself wearing a tweed jacket with suede elbow patches. Ralph and his brother Jerry often went shopping together where they discovered thrift-shop clothing. The memories of those hunting expeditions still inform Lauren's collections: it was in thrift shops that he discovered the joys of rugged military clothes, the integrity of British tweed suits, the thrilling transformation that could take place when a socially backward Jewish kid donned a cowboy shirt and a pair of jeans and imagined himself at home on the range. Once out of school he became a furnishings buyer for Allied Stores, and then (having changed his surname to Lauren) a tie salesman at Brooks Brothers. After a brief stint as a supply clerk in the U.S. Army, Lauren spent the 1960s pounding the New York pavement selling gloves, men's fragrance, and ties. More importantly, however, he was refining his personal style, designing his own custom-made suits, haunting great men's stores like Paul Stuart, and gaining inspiration from custom-made suit makers like Roland Meledandri. Lauren grew frustrated with his conservative bosses in the tie business, since they seemed unaware of the oncoming peacock revolution in men's fashion. Secretly, he designed a line of wide ties, inspired by ones made in England by the brand Mr. Fish. He sought out a backer to finance the line and others to produce it. In 1967 he launched Polo as a division of the tie-maker Beau Brummel. Soon Bloomingdale's, then America's most cutting-edge department store, discovered Ralph Lauren. Thus began an intense and mutually advantageous relationship that still thrived in the early 2000s. In 1968 Lauren left Beau Brummel, taking the name Polo with him, and went into business with the suit maker Norman Hilton. Lauren began expanding, first into a full range of clothing and furnishings for men, and then, in 1971, into women's fashions. Even in those early days, he displayed characteristics that defined his career: an innate understanding of branding (he embroidered his polo player logo on the cuffs of his first women's shirts, creating one of the most singular brand identities in the history of marketing); a fearless refusal to be reined in by finances or expectations; and a recklessness (doing too much too soon with insufficient capital and staff) that soon led to the first of several financial crises. Later crises were caused by Lauren's fierce-but never entirely realized-desire to be as successful in women's fashions as he was, almost immediately, in men's wear. Still, he produced iconic clothing for both sexes after those first wide ties: his famous polo and oxford shirts, khakis, perfect Shetlands, prairie skirts, Navajo blanket coats, and men's wear-inspired women's suits. Over the years, despite nagging fit and delivery problems caused by his insistence on dressing only a certain body type and an almost paralyzing uncertainty over what to include in his lines, those styles won him a grudging respect. Clothing from his collections, which appeared in two acclaimed films from the 1970s-The Great Gatsby and Annie Hall-helped promote his name. See Ralph Lauren size charts along with a list of sub-brands. In the late 1970s, when Lauren formed a fragrance company with Warner Communications, money began pouring in, earning him serious commercial power and financing his next and perhaps greatest innovation. In partnership with the photographer Bruce Weber, who also worked for Calvin Klein, Polo began producing extraordinary print advertisements that served as mini-movies, advertising the myriad, linked product categories Lauren produced. More significantly, they hammered home Polo's most potent product, the idea that clothes not only make the man and woman, but make them whatever they want to be, whether that is a New England patrician or a Colorado cowgirl. In the late 1980s Lauren and his creative services department unveiled the extensive renovation and preservation project that is the Rhinelander Mansion, long one of New York's architectural treasures, and now the backdrop to Lauren's ultimate Polo retail store. It has forever redefined fashion retailing. He had become, as a biographer called him, the personification of "the commodification of status, of the democratization of symbols of the haute monde, of the perfection of luxury merchandising and the rise of 'lifestyle' marketing, and of the globalization of branding and the simultaneous Americanization of international fashion" (Gross, 2003). Though Lauren still did not always receive the approbation of fashion editors and his peers in the fashion design world, he went on to win every award that could be bestowed on designers, as well as worldwide fame and enormous wealth. Polo grew so large that in June 1997 it became a public corporation, listed on the New York Stock Exchange. At age sixty-five Lauren, one of the greatest businessmen-designers in fashion history, remained driven and unsatisfied, still struggling to prove himself. His attempt to reposition Polo as a premium luxury brand was a troubled one. In 2004 Polo's stock price still languished below the highs it hit the day it was first offered to the public, and investors and financiers remained skeptical not just of Polo's position in the market, but also of its future. As head of a company heavily dependent upon his design and marketing skills, his style intuition, and his personality, Ralph Lauren showed no signs, however, of climbing off his polo pony. See also Fashion Advertising; Fashion Marketing and Merchandising; Perfume. Gross, Michael. Genuine Authentic: The Real Life of Ralph Lauren. New York: HarperCollins, 2003. McDowell, Colin. Ralph Lauren: The Man, the Vision, the Style. New York: Rizzoli International, 2003. 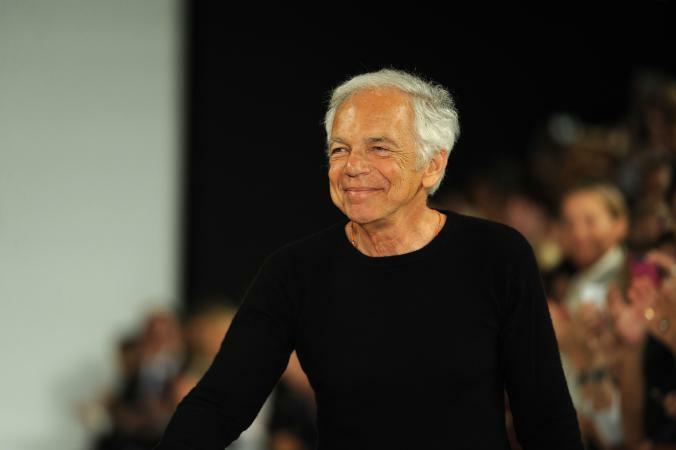 Trachtenberg, Jeffrey A. Ralph Lauren: The Man Behind the Mystique. Boston: Little, Brown, 1988.